It’s amazing to think that even after all the advances in communication technology, a phone is still the number one generator of sales for 98% of businesses. So rather than trying to replace the phone, we developed ways of enhancing it. This is where a short announcement is played just before the call is connected, ensuring you have the necessary information on how to answer the call. For some businesses it is not possible to answer every call, therefore it is crucial that the caller is able to leave your business a voicemail, which is turn is emailed to you as a wav file and can be played back with ease and convenience. 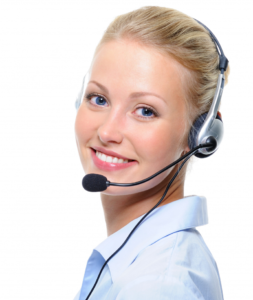 This facility provides your business with more control on calls are routed. Requesting the caller makes a selection to speak to the appropriate department ensures your company’s resources are deployed effectively. In addition, you can also set opening hours, ensuring calls are routed to voicemail or another department on an evening. If your business has busy periods where you could often use and extra member of staff, you may find call queuing is a perfect way to manage those busy periods. Call queuing allows you to point calls a destination number and when used with live queue statistics you can also see how many customers are waiting in the queue, whilst providing alternative routing after the call has exceeded a specific hold period. Voice prompts also enable you make your caller feel value whilst they wait. You can benefit from daily or weekly call reports which show how many calls have been received on your inbound number. These can help your business better prepare for busy periods or times of day. This facility provides your business with peace of mind than conversation is ever missed, allowing the recordings to be used for training and purposes whilst validating any conversation with a client. WOULD A PHONE SYSTEM BE MORE APPROPRIATE?